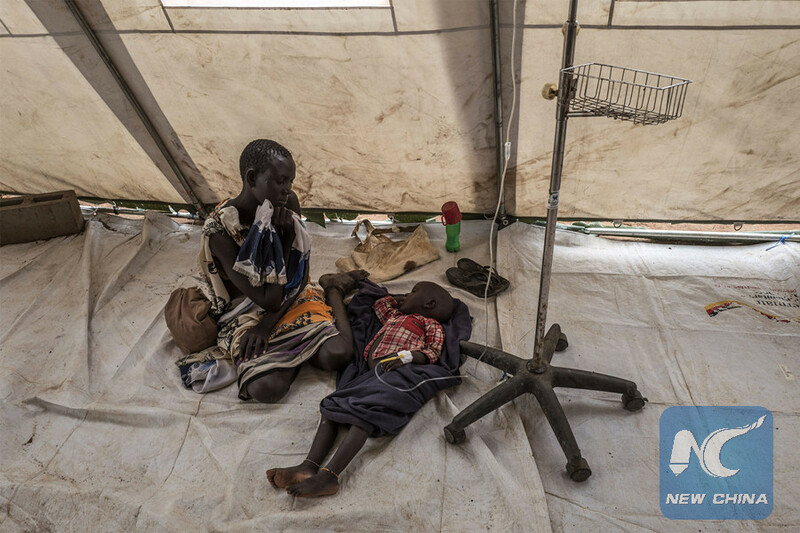 KHARTOUM, May 30 (Xinhua) -- Cases of infection with watery diarrhea in Sudan have increased in White Nile State with 75 death cases, as most of the cases have been monitored, the state's governor said Tuesday. According to official statistics, the infection cases with watery diarrhea in Sudan's White Nile State reached 4,188, including 75 death cases. "The number of infection cases with watery diarrhea, since the disease's appearance on April 8 this year, has reached 4,188 cases, including 75 death cases," Abdul-Hameed Musa Kasha, Governor of White Nile State, said when addressing the state's legislative council Tuesday. Meanwhile, social media activists published photos and information, which said were authentic, on cases of watery diarrhea in some hospitals in the Sudanese capital Khartoum. The Sudanese health authorities have not yet published any indicators on the spread of the disease, its causes or the number of the people infected. Khartoum State's Minister of Health Mamoun Humaida, in a telephone conversation with Xinhua, declined to give any information about the disease. Civil society organizations in Khartoum criticized the silence of the official authorities and their decline to comment on the disease. Sudan Tribune on Tuesday reported the opposition Sudan Change Now Movement as saying in a statement that "Sudan is witnessing a state of epidemiological spread of cholera in White Nile, Khartoum and North Kordofan States in addition to occasional cases in eastern Sudan." It said that the spread of this disease at the beginning of the rainy season threatens with a catastrophic condition unless it is rapidly contained. According to the statement, the victims of cholera are victims of negligence, poor prioritization and mismanagement, in addition to corruption that places corrupt and unqualified officials in health care positions. Meanwhile, Khartoum State's Health Ministry acknowledged presence of watery diarrhea cases in Khartoum, but refuted that the disease is cholera. "All the cases admitted to the state's hospitals were watery diarrhea cases. There were 120 cases, where 49 of them have been treated and they are in good conditions. The conditions of the remaining patients are stable. We have registered two death cases during last month," said the ministry in a statement Tuesday. "We would like to reiterate that epidemic cholera does not exist among these cases, and the ministry has allotted four hospitals to receive the cases with qualified medical staff," it noted. "We would like to reassure the citizens that these watery diarrhea cases do not represent cholera and the situation is now under control," added the statement. The watery diarrhea cases started in Sudan's White Nile State in April and then spread to neighboring states including Khartoum. During August and September 2016, watery diarrhea hit Sudan's Blue Nile and other states, leaving more than 55 dead with 2,619 infection cases.